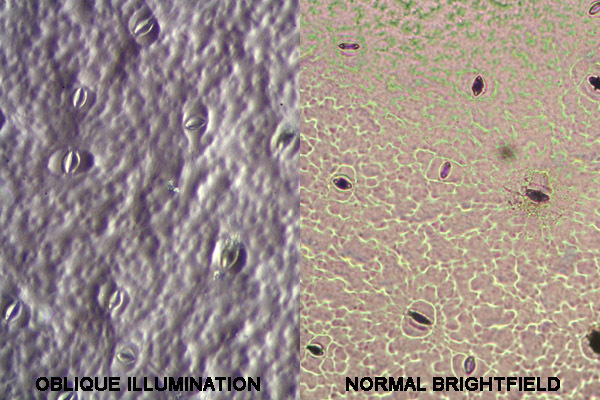 Oblique illumination is a contrast enhancing technique which can be realized with the use of home-made filters (patch stops) placed into the filter holder of the microscope condenser. Oblique illumination only allows light to hit the specimen from the side. The main light beam is not able to reach the objective. This can be achieved by placing a patch stop into the filter holder of the condenser. These filters can be made of dark cardboard or other suitable heat-resistant material. The patch stop contains an off-center hole. The main light beam from the microscope lamp is not able to reach the objective. The specimen is illuminated from the side. This results in the image to appear 3D. The best size and shape of the patch stop filter hole is best determined by experimentation. In any case, the hole should not approach the center of the filter, otherwise the main light beam from the lamp is capable of directly entering the objective, which weakens the effect. Impression of a leaf epidermis on white wood glue. 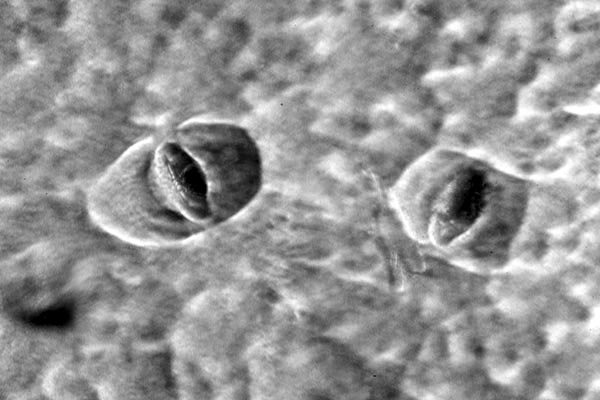 The stomata are clearly visible. Left: oblique illumination; Right: regular brightfield illumination. Oblique illumination gives the appearance of a 3-D surface structure. “Left: Home-made cardboard patch stops for oblique illumination. Notice the off-center hole. 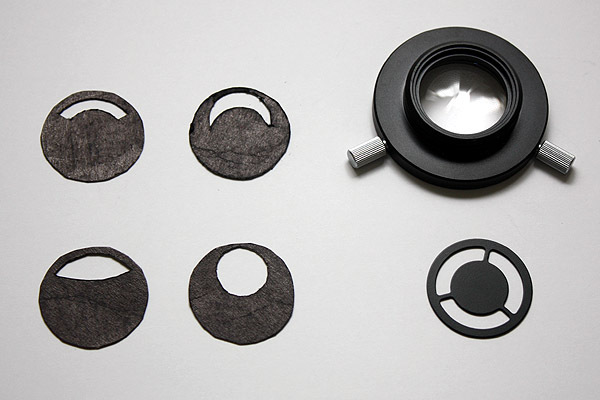 Top right: filter holder of the condenser; Bottom right: Commercial dark field patch stop for comparison. 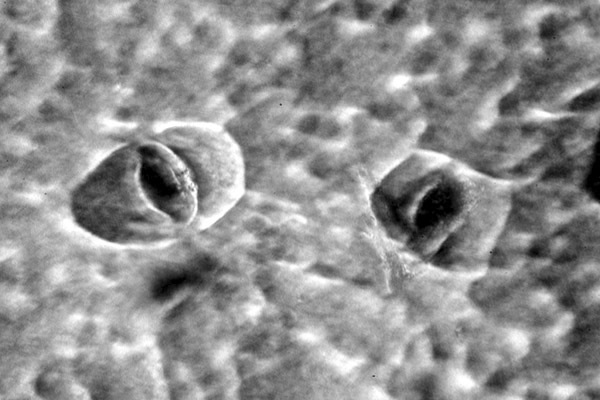 Leaf Stomata impression in glue. The light appears to shine from the left, with one side illuminated and the other side in shadow. Rotating the patch stop results in an image with different lights and shadows. The contrast of both images was digitally enhanced to increase the effect.